We are spirit, so this is what we were created for. ‘Service’ and ‘worship’ are exactly the same Greek word, and they go together. You cannot worship Him without serving Him; nor serve Him without worshipping Him. My service, my worship, is God’s will for my life, my eternal destiny; and it will be revealed as I come and offer myself as a living sacrifice. We can treat this living sacrifice as an analogy, as most of us have probably always done, or we can experientially present our lives as living sacrifices, by faith, in reality. It can be a real thing we are doing in a real place, in the presence of God. The altar for this sacrifice is in the tabernacle in the heavenly realms. 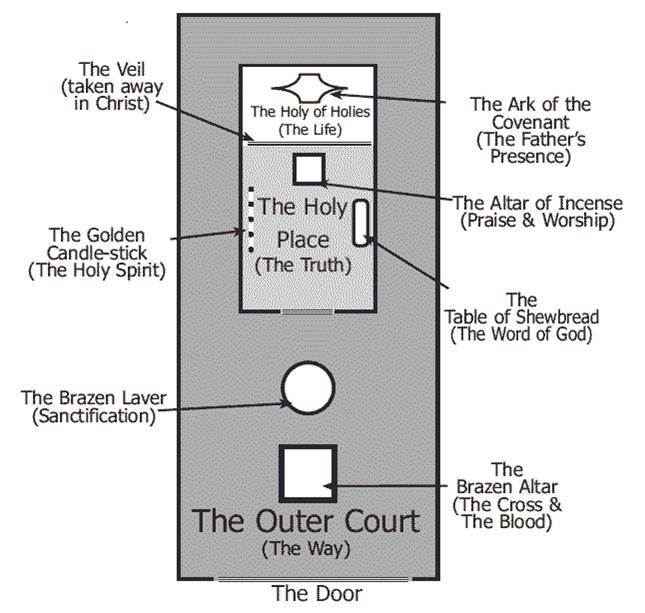 On a macro scale, the tabernacle is a pattern of the heavenly realms, but on a micro scale it is also an actual dimensional realm of kingdom authority. The sacrificial lamb was prepared by the priest. It did not prepare itself. We cannot transform ourselves, however hard we try. We need the presence and power of God to change us. All we have to do is surrender, and let Him do the rest. The priest slit the animal’s throat and drained the blood; skinned it, split it open and washed its inner organs; and split open the backbone to reveal the marrow. As we have gone through this series we have seen what some of those things represent. Finally he chopped off its head and cut off its legs. The head is all about government, rule or authority. We surrender our choices, our rights and our decision-making; our own head is severed, and we become connected to the Head: Jesus. We have the mind of Christ. We seek first the Kingdom; God’s rule in, around and through us. We seek His righteousness, ‘His way of being and doing right’ (Matt 6:33 AMP). ‘His way of being’ manifests as the fruit of the Spirit; ‘His way of doing’, as the power of the Spirit. We are under authority and we exercise authority, confidently expecting God to add to us all that we need. Our legs are symbolic of our walk and lifestyle: we walk a surrendered walk, a walk of obedience. The one who says he abides in Him (Jesus) ought himself to walk in the same manner as He walked (1 John 2:6). Now we can walk by faith, not sight; not swayed by what we see around us. Having a heavenly perspective, we see things through God’s eyes. God blessed Adam: He empowered Him to succeed; and then told him to be fruitful and multiply; to subdue and to bring the rule of God to the earth. He is still calling us to do the same today. Jesus said to him, “I am the way, and the truth, and the life; no one comes to the Father but through Me” (John 14:6). There is no other way we can come. The only access point we have into a relationship with the Father is through Jesus and what He did on the cross. He is our only means of access into the presence of God in the heavenly realms. But when Christ appeared as a high priest of the good things to come, He entered through the greater and more perfect tabernacle, not made with hands, that is to say, not of this creation… For Christ did not enter a holy place made with hands, a mere copy of the true one, but into heaven itself, now to appear in the presence of God for us (Heb 9:1, 24). We can enter the same holy place (there is no other holy place any more), and be cleansed, changed, transformed into the image God has of us. 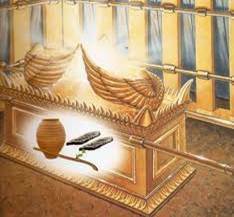 And in that holy place is the ark, containing manna, the tablets, and Aaron’s rod. The manna (bread of life) is the will of God (John 4:34); the tablets are the Word of God, now written on our hearts (Jer 31:33), enabling us to recognise Him in what goes on around us; Aaron’s rod is God’s authority, anointing and power to do His will and purpose (Matt 6:10). I want to know the will of God for my life every day, so each day I step in to where God’s presence rests over the ark, and I take what is in the ark and apply it to my life. The blood of Jesus is always on the mercy seat, so I always have access to come and make a connection. My spirit needs to resonate and harmonise and agree with the contents of the ark. When I come into agreement with God, I can expect God to reveal His will, His word, and His heart, and to release His authority. I get the thoughts of God, and I ask Him to show me if there is anything He wants me to do today, anything I need revelation of, anything I need specifically to do. If not, I ask Him to touch my heart so that my heart will see and recognise Him around me. God’s will has a frequency. Resonance happens when I vibrate at the same frequency as God, to produce harmony and agreement; that is when authority and confidence come. Since God has told me to do something, I can be completely confident that He is going to give me everything I need – the authority, the power, the resources – to accomplish it. I administer the kingdom government of God through my life, with authority and power, in the sphere of influence He has given me. But it is heaven first, earth second: I need to know the will of God in heaven before I can outwork it here on earth. I encourage You to practise engaging until You can live and operate out of the revelation you have accumulated, and it becomes a pathway of entrance. When you learn to drive a car, at first the driving instructor has to constantly remind you to think, be aware, look in your mirrors, step on the gas, apply the brakes and so on. But once you can drive and have built up some experience, you do it all without thinking; it comes as second nature to you. When I first began to access heaven, it used to take me quite a long time. I was going through the process, learning to present all the different parts of the living sacrifice. Now, I can go from here in this dimension right to the very presence of God in one step, following the pathway I have learned. This is what we mean by learning the protocols of engaging heaven, so that we can step into whatever realm of heaven we need to, whenever we need to, in order to bring the rule of heaven to earth. We need to live on the other side of the veil, in the realm of His presence. The earth responds when we govern from beyond the veil, no longer looking to live on the earth out of the supply of heaven (great though that sounds), but living our life both in heaven and on the earth, in dual realms, at the same time; no longer trying to get heaven to come down to earth, but to be in heaven, and bring heaven to earth with us. Jesus, I thank You that You have opened up the veil. I thank You that You have torn the veil. into the realm of Your presence. I am a gate of eternity. and I receive the realm of eternity. of who I am in the kingdom as Your son. and draw it into my spirit being. Breathe Your spirit and Your being into me. to administer the breath of God. I step forward into the realm of Your presence. I open my life to expose my inner being to Your presence. for Your presence to gaze upon. You take my living sacrifice and make me clean. through the absolute cleansing of Your presence. Baptise me afresh in Your Holy Spirit. under the covering of Your government and love. I ask You to fill me with the wine of Your love and presence. out of the realm of heaven. into this atmosphere around my life. to administer Your kingdom through me. You can find your own words; you do not have to use these. But as you practise stepping in by faith day by day, you will start to engage. And as you step out, things will begin to change. You will be bringing God’s kingdom into the atmosphere around your life, to His glory. 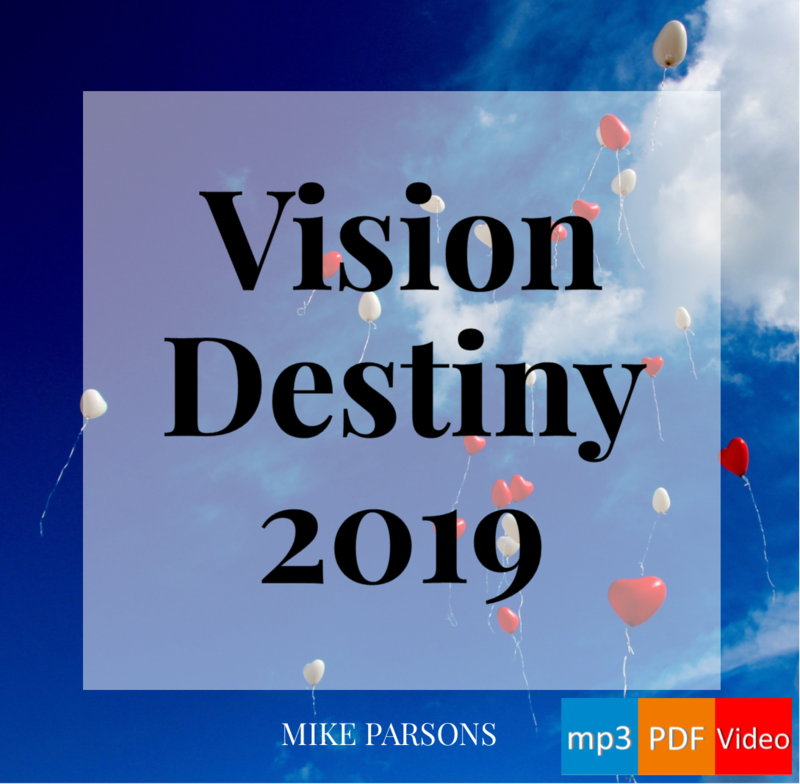 Transformation 20-part audio series with slides (this post is based on extracts from Mike’s notes for session 19). Freedom Apostolic Resources’ profile on Pinterest. I was listening to the river of life teaching at you all’s church and I realized that post may not have made much sense… it was Mikes not Marks teaching about the light displacing the darkness in those realms. I just started letting the light shine and releasing light and that is when the darkness went away. That situation happened this morning during the singing worship at church. That realm was terraformed. I’m not entirely sure what that means but I just know that’s what happened. There are a lot of these places I know it. I’m just going into them by accident maybe. My thought was that we need a lot of sons to take over all this stuff. And some stuff like that Ogleby( not sure he had a wierd name, he kept saying he was a person after his own heart trying to mock me) we might need groups or even congregations to all at once take some of these higher realms in the kingdom of God or wherever these are located. I also pondered why a lord or king would operate from a realm partially in darkness( like kingdom of God).. it sounds like a ridiculously huge thing but honestly shouldn’t we be taking all that stuff back? I’m just sick of the reign of sin and just plain nasty bad stuff. What’s the plans to get this done? Where can I sign up? Let’s take this stuff out so instead of this world looking so broken it can look so much like God’s love and rest and hope. I prayed to God to be like Caleb. Been having health issues, but I want so want the strength to take the land I’ve been waiting for an amen on it but everyone around seems to be content on complaining about the situation in the world or hiding from it. I want to fight it but I feel alone and wonder if it’s wise for me to try to take on this stuff by myself. But I’m not afraid. That post may not have made sense either hopefully Holy Spirit please help it to be intelligible. Me too, I want to participate with God to do HIS kingdom work. HELP us LORD. On that note, I went into a frenzy in heaven of running toward God. I heard Ian a while back and he said we have a mountain and after checking the scriptural basis I had already taken my mountain maybe 1-2 years ago. I hadn’t been at it for a long time so I didn’t know if I had to take it again. In my frenzy I went to a mountain but realized it wasn’t mine. Some spirit that didn’t seem as afraid of me as other stuff that attacks my life- he looked dumbfounded that I was there. He told me his name and I told him he had to leave and let me reign. He said no, so I started releasing and beating and slashing at him with everything, verses, I’m precautions from the psalms if he dared return. It took a lot out of me. Finally the Lord moved through me and I drove him away for good. (He came back the first time I did) I looked at the throne he left behind. I knew immediately it was not the throne of my mountain. It wasn’t me. I saw it and this whole situation vividly. I felt I should sit on it. Immediately I was told this was the throne over London or England or something. It came to mind instantly to decree and rule administrate that no euthanasia. I don’t remember the exact words it came to me. I never think about that subject at all. Not really talked about much here in the states to my knowledge and I don’t know how much it is there either? But that’s what came to me. I did that and suddenly all these massive dark spirits like blobs of blackness were coming to where I was sitting. I started speaking against them and warring when I heard this thing say I need to go immediately, like this stuff would attack my wife too and I need to back off. I kinda felt like God was protecting me it didn’t feel like fear. So I did. I kinda went to a weird place and did the same thing except it was much easier. I just Marks teaching that you release light darkness has no place. The place had light but deserted. Started decreeing from my throne life and rain and trees and plants and river of life and others rivers and the placed started like grass here and there in a desert to a thick foliage, then I put a wall of fire around it and other things until I felt released that it was done and asked for a son to reign in that place and felt God show me where it was located. So why is that encouraging? Maybe someone else here reading this? Is trying to out work this revelation and doesn’t understand or is tempted to run away like me. I can’t though. If I perish, I have to do this because for some reason I believe it. I’m not quitting. I was strong all day until finally I told my wife quietly the I feel like breaking down. She said dont. Looking forward to see how God makes me overcome this. I have confidence, but no idea how, lol.